You're Here: Home / Blog / Digital Signage / Up for a shiny new brochure? Up for a shiny new brochure? 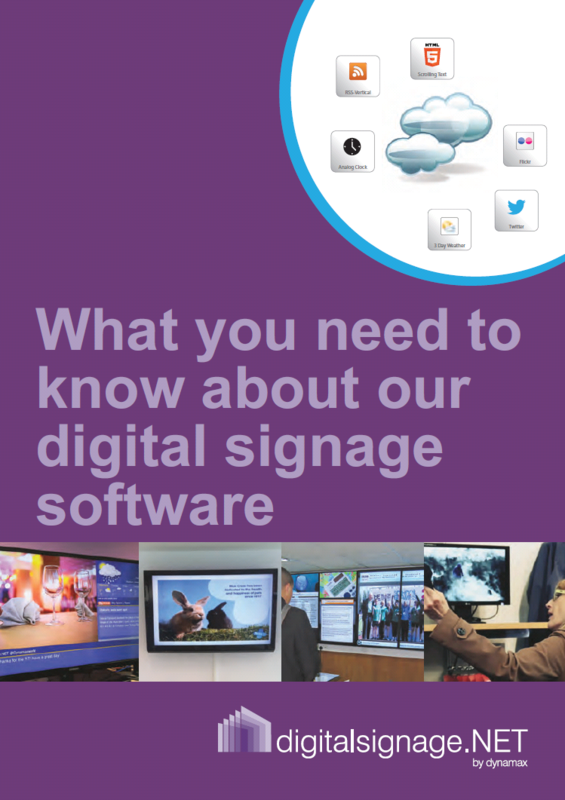 We are glad to announce the launch of our new brochure on digitalsignage.NET! The shiny, colourful document summarises the most important information about our cloud-based digital signage software, from how it works to who uses it and who produces it (yes, that’s us J). We see it as the go-to resource for people who don’t know much about the product or about Dynamax and an equally interesting document for those who know a bit about the two but would like to learn more. The brochure points readers to our white papers, videos and Forums so it really is an information hub. We encourage you to download it, pass around it if someone else would like to read it and get in touch with us if you need advice or you want to learn more about the software. –To download the brochure, please click on the image below. This entry was posted in Digital Signage, News, Software and tagged digital signage software, digitalsignage.NET by Dynamax. Bookmark the permalink.